RA-MM and RA-only patients and to determine the factors contributing to this difference. regression models and summarized as the percentage of the total R2. (25.6±22.9), with a mean difference of 4.9±26.7 (p<0.01, paired t-test). difference in PtGA between RA-MM and RA-only. higher levels of PtGA compared to RA-only patients. between RA-MM and RA-only patients are differences in fatigue and pain. count = 7.1; evaluator global = 32.2; Age = 56.8; Disease duration = 13.7years). Disclosure: H. Radner, None; K. Yoshida, None; S. K. Tedeschi, None; M. Frits, None; C. Iannaccone, None; N. Shadick, Amgen, Questcor, Crescendo Biosciences, UCB, Bristol-Myers Squibb, 2; M. Weinblatt, Amgen, Abbvie, Bristol-Myers Squibb, Lilly, Novartis, Merck, Pfizer, Roche, Crescendo, Myriad Genetics, UCB, 5,Bristol-Myers Squibb, Myriad Genetics, UCB, 2; D. Aletaha, None; J. S. Smolen, Abbvie, Janssen, MSD, Pfizer, Roche, UCB, 2,Abbvie, Amgen, Astra-Zeneca, Astro, Celgene, Glaxo, ILTOO, Janssen, Lilly, Medimmune, MSD, Novartis-Sandoz, Novo-Nordisk, Pfizer, Roche, Samsung, Sanofi, UCB, 5; D. H. Solomon, None. Radner H, Yoshida K, Tedeschi SK, Frits M, Iannaccone C, Shadick N, Weinblatt M, Aletaha D, Smolen JS, Solomon DH. Different Perception of Disease Activity in Multimorbid Rheumatoid Arthritis Patients [abstract]. Arthritis Rheumatol. 2015; 67 (suppl 10). 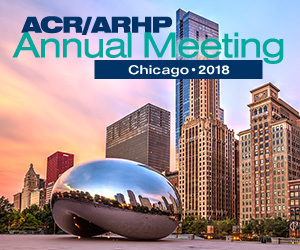 https://acrabstracts.org/abstract/different-perception-of-disease-activity-in-multimorbid-rheumatoid-arthritis-patients/. Accessed April 18, 2019.